We searched and reviewed many boards where the main criteria were purpose, design/style/length and weight. After a few weeks it was clear which board met all the criteria, the 404 SOAP Race Carbon V3 12'6". It has all the right ingredients to be a great board and we weren't disappointed after several outings. A main concern was weight because who wants to lug around bulky equipment that also weigh a ton. I like to keep things simple, light and manageable. The choices out there are wood, fiberglass or carbon and carbon just works. It is light and strong so that decision was out of the way rather quickly but we still had to consider price. Carbon generally costs more but is it worth it? If you don't mind spending more, then opt for carbon. I still prefer aluminum mountain bike frames, but that is a whole different story. 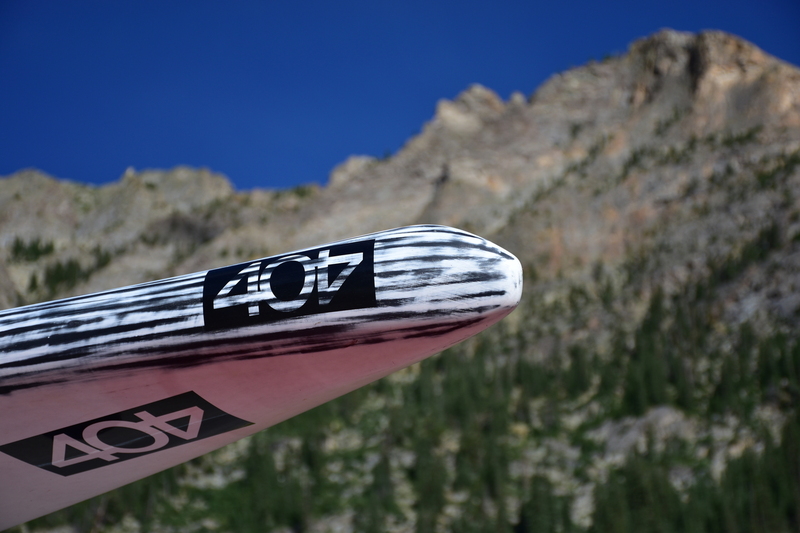 The 404 SOAP Race V3 carbon 12'6" board comes in four varieties. width/ 24.5" width/ 25.5" width/ 26.5" width/ 27.5"
thickness/ 7.3" thickness/ 7.3" thickness/ 7.3" thickness/ 7.3"
We bought the 12' 6” length, 27.5” wide version which weighs in about 21.5lbs and I think light for the length. 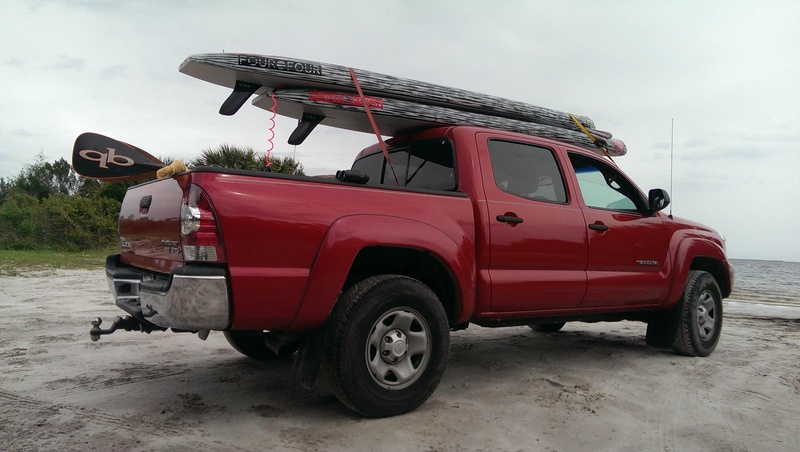 One thing we did not consider was the width because I simply missed that option and it didn't occur to me that paddle boards get that far into custom design. The 404 does and I probably would have preferred the 24.5” wide version to save weight, lessen drag. Additionally, the narrowness of the board would force me to become a better rider as it takes a little more skill to manage the waves, wind etc.,. Consider this when buying the 404 SOAP Carbon V3. The next thing to decide is the design ( appearance, and skill level rating ). I wanted an advanced level board because I knew I would quickly outgrow beginner or intermediate level boards. This serves several purposes. Race boards are generally lighter and require enough skill that it is naturally a good decision when thinking about 'outgrowing' a board. I learned this the hard way a few times and knew not to fall in to that trap again. You have to trust your abilities and know you will come up to speed quick enough that it makes sense. And we did. It was tricky at first, but after a few rides, we were comfortable with the board. The appearance part is just that. I always consider form over function, but if both can be met, I want to enjoy how the board looks. The 404 board is awesome in that regard. Then we needed to choose a length which is easy enough. We opted for the 12' 6” for space reasons alone. If storage wasn't an issue, we probably would have gone with the longer 14' board. Longer boards glide better and are faster but the 12'6' is more nimble and easier to store. So far I am fine with that decision. The final criteria - purpose. We liked the idea of doing surf or riding waves ( rivers and/or the ocean ), but we also wanted speed and going on longer journeys. There are a few choices. One is the full on race version that cuts through the waves because of hull design, a surf type that will ride above the waves or an 'in between' board that is performs relatively well for surf and 'race'. We chose the race version because we wanted the speed and distance capabilities but could ride waves if needed. It was that simple and the 404 SOAP Race Carbon V3 worked out nicely.